Have you conducted an electrical audit for your home or finished a renovation project? Then, you must know how hard it is these days to find qualified electricians. Well, you are not alone! Millions of Americans, including big and small businesses, know the challenge of finding expert electricians. Bruce Seilhammer, the IEC National President has also the same experience. 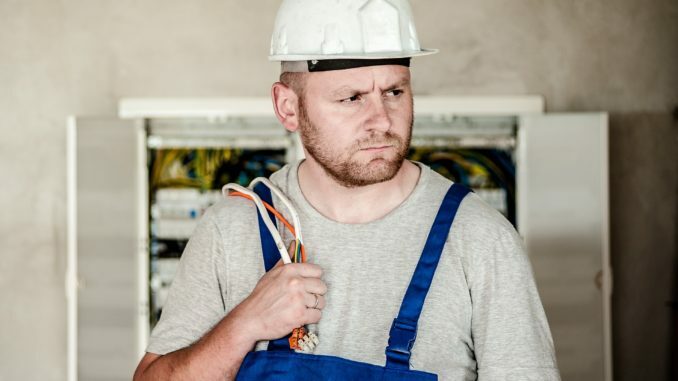 He testified before the Congress on labor shortage on September 7, 2017, and articulated his concerns over the hardship of finding skilled electrical contractors. Mr. Seilhammer explained to the Subcommittee members the reasons why it’s so hard to fill up the positions of electricians among all trades. There are some other causes, too, that are instrumental to this shortage. Mr. Seilhammer identified it as a major reason. Currently, young people are more interested in taking a university degree instead of a career in the trades because of the changes in social dynamics. Getting a college degree has become a prestigious issue. Also, many jurisdictions account a high number of college attendees as a success of their high schools. The funding model in public schools also promotes the college-or-bust concept. With the emphasis on a college degree, the social trends also shift towards considering the workers in the trades as someone as a lesser individual. There’s a perception that vocations, like carpentry or electrical work, are for school dropouts and ex-convicts. The social stigma discourages many young people. There used to be mechanical and shop classes in high schools. Students used to get hands-on experience of what a career in a trade would be like in those classes. The elimination of these programs cut off a huge pipeline and created generations fixated on only college education. The shift of focus also demotivates the school officials and guidance counselors to suggest students joining apprentice programs. Now, the older workers, most of whom want just union benefits, dominate the field. 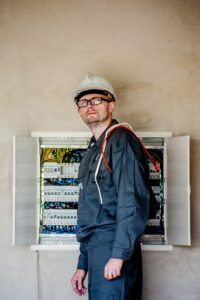 Several qualified electricians are leaving the industry because of the concern over the available jobs in the next five or ten years. The popularity of the smart home concept and less dependency on high-tech electronics have changed the dynamic of the industry. Many professionals are either unwilling to adapt to the changes or unsure about the future because of the aggression of new technologies. The economic crisis took its toll on every sector of skilled trades. Thousands of contractors went out of business and did not come back even after the recovery. The trades lost a huge number of veteran workers and could not fill that gap later. The apprenticeship also dropped sharply because many companies had to struggle for mere survival. That several years of break in worker training partly leads towards today’s critical point. This is another problem that Mr. Seilhammer pointed out during the hearing. Some state governments require the companies to keep a particular ratio between professionals. For example, the State of Pennsylvania calls for a ratio of three electrical journeymen to one apprentice in all projects. Mr. Seilhammer considered it an indirect restriction on the electrician-training program of the companies. The regulation also limits a company’s scope to fill up their labor shortage through apprenticeship. It curtails a firm’s ability to handle big projects, which eventually affects the building, maintaining, and repairing the infrastructure across the country. It could be the best solution as it will provide trainees hands-on experience and opportunity to learn from qualified electricians. It will be just like classroom education for the newbie workers, but more focused on practical training. The electrical companies need to invest more in their training and educational programs. They should also work with national and international organizations to ensure the best facilities and technical support for their workers. These programs should give emphasis on apprentices and make sure that they get scholarships and tool endowments. Such incentives and facilities will help the workers to build a successful career and give their best service to the industry. The most stable and long-term solution for closing the skill gap in the trades is to change the public policy. Annulling or modifying the regulation about the ratio of workers in a project will allow the companies increase the number of apprentices. It will ultimately fulfill the industry’s demand for qualified electricians. These formulae have real potential to solve the crisis of expert electrical contractors. However, their execution won’t bring any quick result. In the meantime, the challenging situation will persist a few more years. Thousands of positions in the construction and other sectors will remain unfilled year after year. The Bureau of Labor and Statistics (BLS) predicts a 14% surge in demand for electrical workers by 2024. 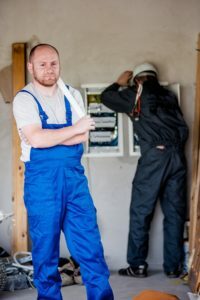 If you’re thinking of a home renovation project next year, you’d better start looking for qualified electrician now! Electrical Supply: What is a Fast Acting Fuse? Thanks a ton for being the instructor on this niche. I enjoyed your own article greatly and most of all enjoyed the way you handled the areas I regarded as controversial. You happen to be always quite kind to readers like me and help me in my living. Thank you.